Shinzo Abe’s Liberal Democratic Party-led (LDP) coalition won a combined 312 seats, keeping its two-thirds “super majority” in the 465-member lower house. Shinzo Abe will almost certainly secure a third three-year term as LDP leader September, 2018 and go on to become Japan’s longest-serving premier. It also means his “Abenomics” growth strategy centered on the hyper-easy monetary policy will likely continue. The U.S.-drafted constitution’s Article 9, if taken literally, bans the maintenance of armed forces. But Japanese governments have interpreted it to allow a military exclusively for self-defense. Abe has proposed modifying the Japanese constitution to codify that Japan can have a military for self-defense. The re-election of Abe and the desire of Japan’s decision-makers to amend the country’s pacifist constitution are just reflections of a much deeper process that is underway in Japan. Japan is a country that adopted the ideology of pacifism in response to what it did and what it experienced in World War 2. Those horrific memories shaped Japanese foreign policy for the next couple of generations. But as time goes on those memories are fading, and the last of the survivors of that period are passing away. Japan has since relied mostly on other powers to guarantee its security, particularly the United States. That strategy can work well if those other powers have the same national interests, but of course, those interests don’t always align, and may conflict with each other. The country is facing the potential of security threats from China and increasingly North Korea. Those threats are immediate and right in its neighborhood. Those threats are not immediate for the United States; they’re more nuisances. No country wants to rely on another for so much of its core strategic interests. That includes Japan. As much as many of those in Japan may still be content to leave its matters to others, that can’t last forever. Japan eventually will be reasserting itself. Japan is still a major military, economic and political power. By being passive it has been relatively quiet and modest in its endeavors. That power becomes more pronounced when the country gets more assertive. That does not mean Japan will be waging war any time soon. Japanese society isn’t yet ready for such a radical shift in its foreign policy. Japan has a powerful military but it has only been reserved for use in self-defense. However, it does mean that the idea of the best defense being good offense is slowly gaining traction. The considerations Japanese ministers have had on reforming Article 9 of its constitution and the desires to install long-range weapons on its soil are just part of a much stronger undercurrent that is propelling Japan to change. The remarkable thing about Japan is its ability to change its behaviour without significant social upheaval. Japan has gone through many such changes in the last century. Considering its history, it’s unlikely it will behave the same way for the next 25 years as it has for the preceding 25 years. TOKYO (Reuters) - Japan plans to buy at least 20 additional F-35A stealth fighters over the next six years, some or all of which it may purchase directly from Lockheed Martin Corp (LMT.N) in the United States rather than assemble locally, three sources said. This is especially significant considering the country has had a pacifist constitution, and its military is officially only supposed to be used in self-defense. But what does "self-defense" really mean? Fighter jets, among numerous other military equipment Japan has purchased, are types of machinery that are intended to attack targets, not act as shields. Japan, like any other country, has the right to protect itself and pursue its own national interests. It has relied mostly on allies such as the United States for its security guarantees. 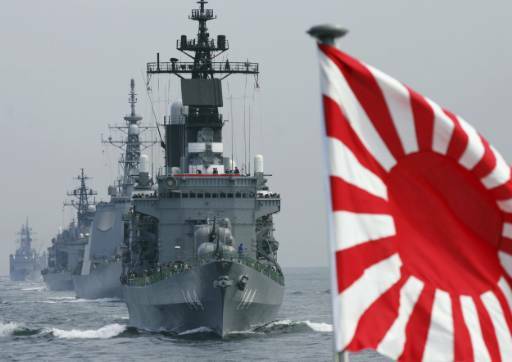 If Japan faces pressing security threats but could no longer rely on the military of its allies, how will Japan react? Japanese investors sold a record amount of U.S. dollar bonds in February as the soaring cost of currency-hedging undercut yields while they extended their purchases of euro-denominated bonds, government data showed on Monday. Investors sold 3.924 trillion yen ($36.68 billion) of U.S. dollar bonds in February but scooped up 1.059 trillion yen (8.06 billion euros) of euro-denominated bonds - which offer higher yields after currency hedging. It was their fifth consecutive month of euro-denominated debt purchases. Since October, investors offloaded 7.675 trillion yen ($71.72 billion) of dollar bonds and bought 4.079 trillion yen (31.06 billion euros) of euro bonds. TOKYO (AP) — Japan's Cabinet on Friday approved a draft bill that would allow the entry of more foreign blue-color workers as the country's fast-aging population faces labor shortages. The bill is a major revision of Japan's policy on foreign labor. The country has long resisted accepting foreign workers, except for doctors, teachers and others in highly skilled fields. The proposed legislation would create two new visa categories for foreigners employed in more than a dozen sectors facing labor shortages, such as nursing, farming, construction and services. The government hopes the bill will be enacted by next April. Prime Minister Shinzo Abe denied that the relaxed policy on foreign workers means Japan is opening its doors to immigrants, in an attempt to reassure his nationalist supporters. Significant coming from a military that claims to be used only for defense, rather than offense (whatever that’s supposed to mean). We must remember what aircraft carriers are really used for, and that the Japanese navy was once one of the pioneers of this technology. The long-awaited documents, released Tuesday afternoon Tokyo time and formally approved by Japanese Prime Minister Shinzo Abe’s Cabinet, would see Japan spend almost $243 billion on defense over the next five fiscal years, which in Japan begins April 1 and ends March 31 the following year. Japan on Tuesday announced what everyone had long suspected: Its Izumo-class "helicopter carriers" would host F-35B short-takeoff, vertical-launch stealth jets, and the platform will be transformed into a weapon Tokyo hasn't wielded since 1945. Japan said it would retrofit its two Izumo carriers to handle the extreme heat and pressure of the F-35B's vertical launches from the decks in a pivot from its post-World War II pacifist stance, citing rising threats from China, Russia, and North Korea. The article provides more detail on the role these carriers will play in the Japanese navy. Japan plans to leave the International Whaling Commission (IWC) to resume commercial hunting, media reports say. The government told its MPs of the decision, NHK reports. There has been no official confirmation of the move. Commercial whaling was banned by the IWC in 1986 after some whales were driven almost to extinction. 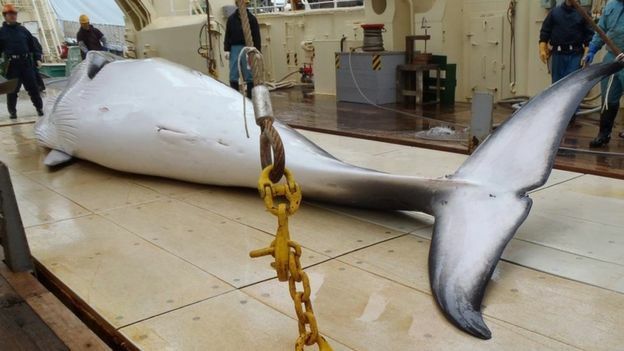 The Japanese government is expected to cite the recovery of certain whale species as justification for the move, although it's thought to be considering whaling only in its own waters. The U.S. Department of State approved the possible sale of two Aegis Ashore batteries, the land-based variant of the Aegis combat system for defense against ballistic and cruise missiles, to Japan for an estimated $2.15 billion, the Pentagon’s Defense Security Cooperation Agency (DSCA) said in a January 29 statement. The foreign military sale is still subject to congressional approval. In addition to the two Aegis batteries, the sale will include two multimission signal processors, two command and control processor refreshes, radio navigation equipment, naval ordnance, two identification friend or foe systems, global command and control system-maritime hardware, and two inertial navigation systems. The Hanoi Summit couldn’t reach a resolution to the long running dispute on the Korean Peninsula. Activity has resumed at the North’s nuclear facilities. What is Japan’s position? The US, which has been the main guarantor of Japanese national security, failed to prevent a nearby hostile country from building nuclear weapons and being able to strike the Japanese homeland. Japan is very wary about what goes on in the Korean Peninsula. After all, the North has tested ballistic missiles over its territory. Japan is the only country to have ever suffered the damage from enemy nuclear blasts. Korea has historically been an important avenue for Japanese invasion and expansion onto the Chinese mainland. Japan is a very important player --- something easy to forget given the most pacifist constitution that has been in place since World War II. It is an advanced industrialized country with the world’s second largest economy, has indisputably the most powerful military in the region, and is politically relatively stable. It also has a history of imperialism like no other country in East Asia.